Outside view of Honeysuckle patio and courtyard area. One of our cute little piggies! 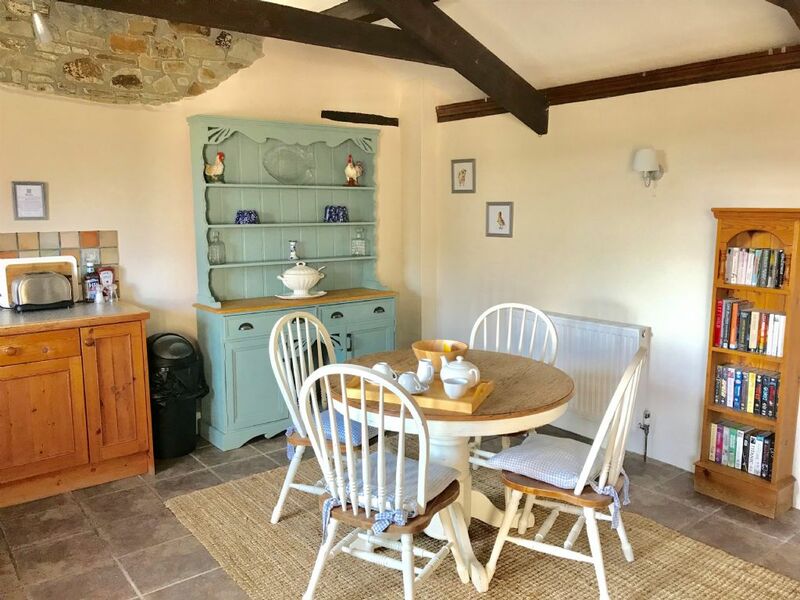 North Cornwall Farm Cottages has everything frazzled parents, extended families and friends really need for a stress-free, happy holiday with tots to teens in tow. Set just two miles from the North Cornwall coast, the 37-acre country estate comprises a Manor House for 12 and five stone cottages sleeping two to 10. 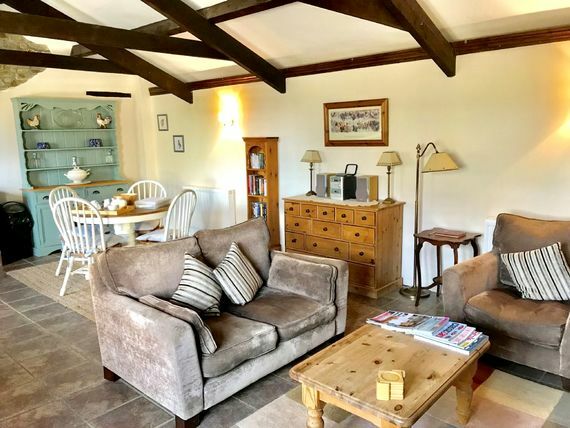 The house and cottages share brilliant family facilities including a long list of handy nursery gear (see 'Fast Facts'), a large indoor heated pool and a games room to keep everyone smiling, whatever the weather. The pool is open from 8 ‘til 8, boasts stunning valley views and is heated to a lovely 30 degrees, so babies and toddlers will be quite happy having a splash with the grown-ups. The games room is right next door and kitted out with a pool table, darts, table tennis, giant connect 4 and table football. 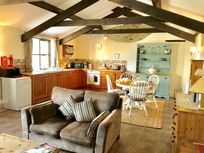 The Manor House and cottages each have their own style and charm but have all been renovated and converted to high standards and well equipped to provide every home from home comfort. The kitchens have all the essential appliances and baby accessories to make self catering easy or, for a really relaxing holiday, guests can order a tasty selection of homemade ready meals and give cooking a miss. The owners also sell their own home-reared pork and lamb, eggs from their free range chickens and home grown veg, which all knocks spots off supermarket produce! Children are very welcome to join the morning feeding round and will squeal with delight watching the Gloucester Old Spot piggies snuffling around their pen and digging muddy puddlies to wallow in! 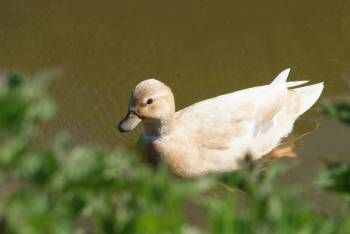 Children can also help the owners feed apples and carrots to their Shetland ponies, while ducks waddle up from the pond in the hope of being fed too. Besides feeding the animals, families can pack a picnic and go for wander around the estate with its own woodland and a signposted walk down to a stream. After fun-packed days in the pool and games room, feeding the animals, exploring the estate or enjoying North Cornwall’s beaches, guests of the house and cottages can relax in comfortable living rooms with wood burning stoves, Freeview TV, DVD and CD players plus there's a basket of toys in each one. 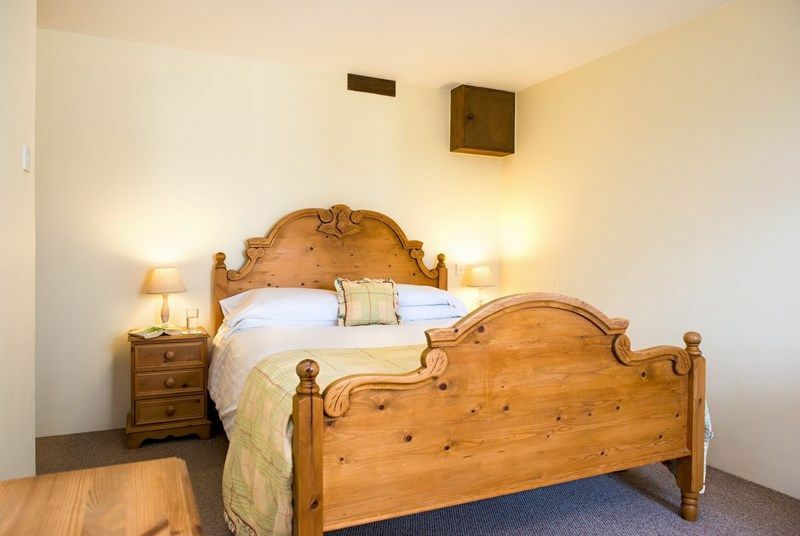 The bathrooms are sleek and modern and wrought iron bedsteads with cool, luxury linen are all conducive to a good night’s sleep. 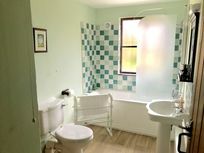 For a little extra pampering, grown-ups can book the qualified therapist, Jannie, for a range of massage and beauty treatments in the comfort and convenience of the cottages or even book a ‘mum’s night in’ package including a treatment, bottle of Champagne, mini chocolate fondue, popcorn and a selection of chic flick dvd’s. Cottage Four is a spacious semi-detached cottage ideal for a couple and a baby. The fact that it is set all on one level makes it a great choice with crawlers or new toddlers too. 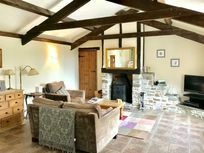 The vaulted ceilings and open-plan design of the lounge/kutchen/diner give the cottage a light and spacious feel. In the lounge area, a comfortable sofa and armchair flank the romantic wood-burner making it a cosy sppot for snuggling up of an evening listening to a CD or watching a DVD (TV, DVD and CD player provided). 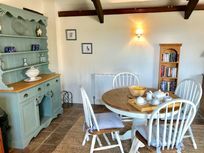 The kitchen-area boasts a hand-crafted pine dresser and plenty of useful gear including an electric cooker, microwave, fridge and dishwasher. The cottage has access to a communal laundry with freezer and coin-operated washing machine and tumble dryer. Honeysuckle boasts a romantic bedroom, which is decorated in shades of cream, gold and rose, with a king-size (5") pine bed, as well as a TV, and a bathroom with bath, shower attachment, WC and basin. Outside there's a picnic table. 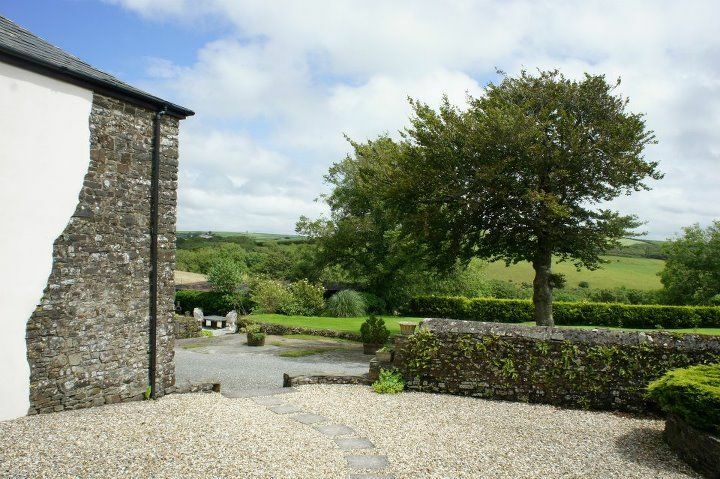 Woodlands Manor Farm is surrounded by rolling countryside, just two miles from the North Cornwall coast and six miles from the seaside town of Bude. The nearest village, Kilkhampton (2 miles) has a small range of shops including two grocers, post office, a toy shop and a great takeaway – the Pizza Ape. ‘Kilk’, as it is known to the locals, also has two pubs, The London Inn and The New Inn, both offering local ales and home-cooked food, the latter also boasting a pretty beer garden and a fairly decent kids menu. 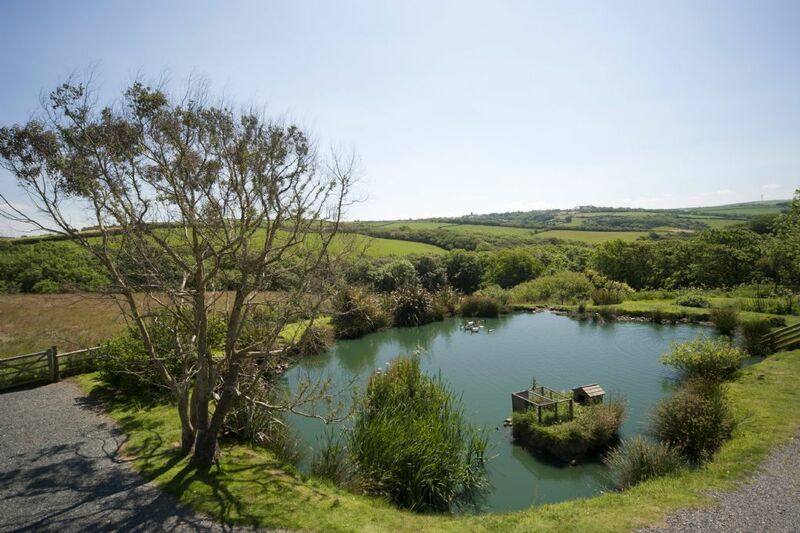 Duckpool Cove is the nearest beach (2 miles) and hikeable from the estate through the Coombe Valley area of outstanding natural beauty. The owners will also happily drop families off or pick them up in the Landy to avoid a tiring return trip. The beach isn’t recommended for swimming but is very unspoilt and loved by surfers or anyone wanting to escape the crowds. Sandymouth Cove (3 miles), owned by the National Trust, is also lovely and quiet and has a pretty waterfall which makes the steep climb down worth the effort. Bude is a bustling mix of modern and olde worlde charm, with a variety of shops and restaurants, cafes and pubs to match everyone’s budget and taste. 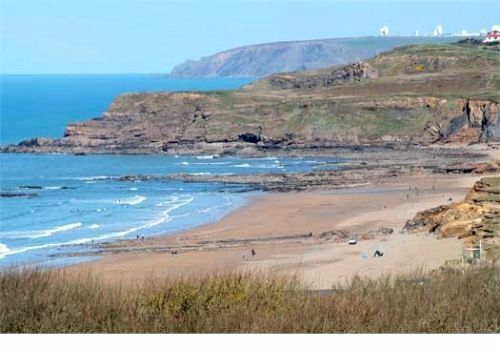 The town boasts the very family friendly Summerleaze Beach and Cooklets Beach for surfers, plus a stroll along the canal has a surprise in store, with one of just three locks in the UK to open directly to the sea. Clovelly (10 miles) is one of the most picture postcard of all Cornish fishing villages, with a tiny working harbour and steep cobbled lanes where donkeys are on standby to transport visitors up and down. Tintagel is also a pretty Cornish town with a world famous Castle linked to the legendary King Arthur and his Knights of the Round Table. 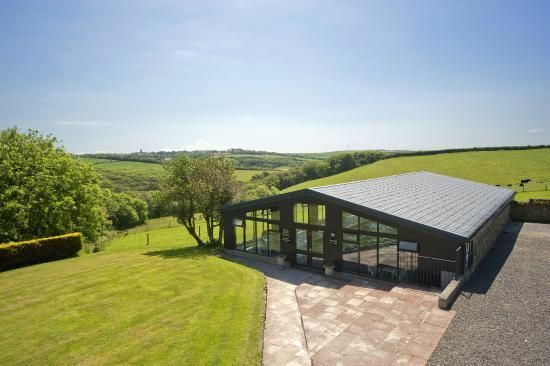 Cornwall has a huge variety of attractions for all ages which are never much more than an hour from anyway, so it’s a case of taking your pick. 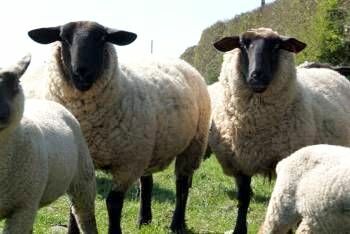 Close to Woodlands Manor Farm, The Big Sheep has an amazing range of fun activities including sheep racing, pony rides, high ropes course, indoor and outdoor play areas. The Milky Way is an excellent adventure park with indoor and outdoor play areas, plus Devon’s longest, fastest and highest roller coaster. 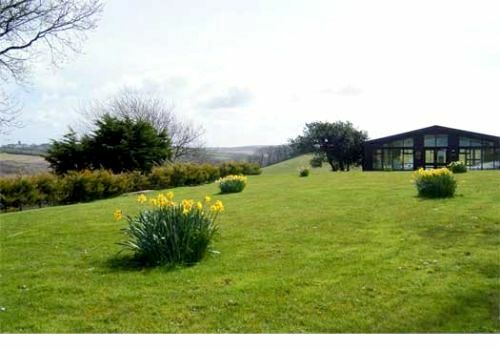 Adele and Nigel moved to Woodlands Manor Farm in October 2009. From the moment we drove down the drive we knew that this was the place for us. Having only ever owned a couple of goldfish and a dog in childhood we didn't really have any experience to call upon regarding farm animals, but this didn't stop us building up a small menagerie of animals. It has been a steep learning curve! We love waking up each morning to the sounds of birds tweeting and not much else. 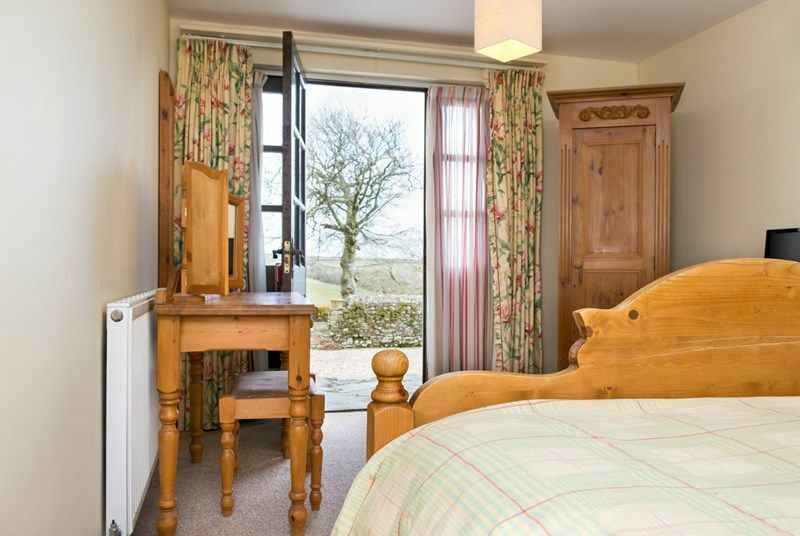 It is very peaceful here and with 360 degree views of uninterrupted countryside we know you will love staying here too! 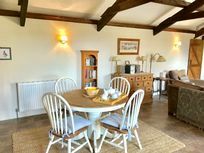 Being near the sea, the winters can be quite dramatic, but the cottages are so well built that you will be lovely and cosy, especially with the log burners. We really appreciate the change in seasons since living here and especially look forward to spring when our Woodlands is filled with a carpet of Bluebells - absolutely stunning. 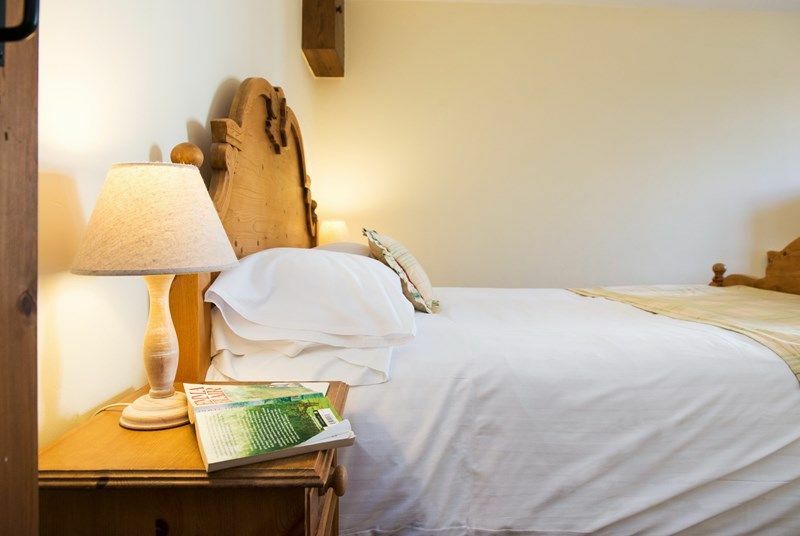 We have a real pride and passion for making our guests' stay as relaxed and enjoyable as possible. 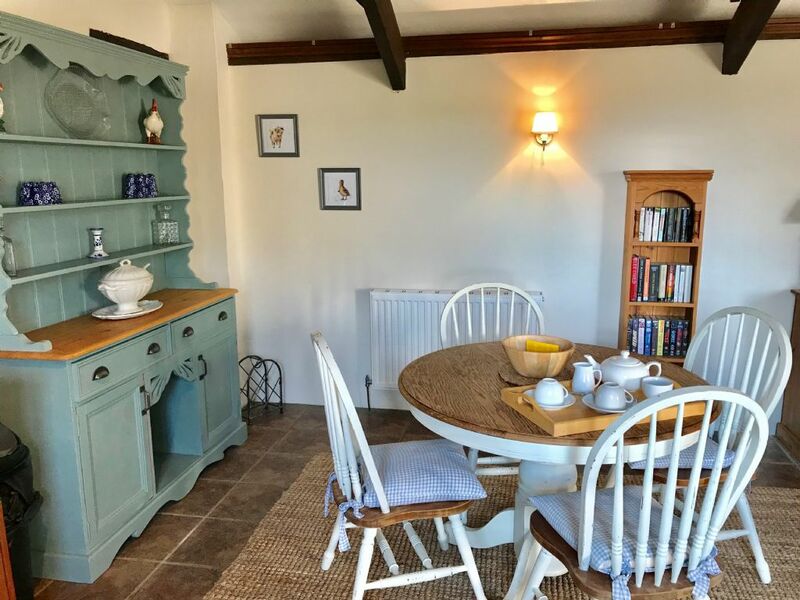 We have tried to think of everything you may need whilst on holiday including a welcome selection of goodies such as bread, butter, milk, eggs and homemade cake - perfect with a cup of tea on arrival! We will always try and accommodate any requests asked of us and living on site we are always around for you to pick our brains on good days outs and great places to eat and drink. Nige doesn't need any encouragement to show you his favourite pub! Whether you are young or not so young! you will love meeting all our animals. During your stay you are encouraged to join 'Farmer Nige' in collecting the eggs from our lovely free range hens, watching the ducks scoff their corn, hand feeding the lambs and giving the pigs a good old scratch! The indoor heated swimming pool is very popular. 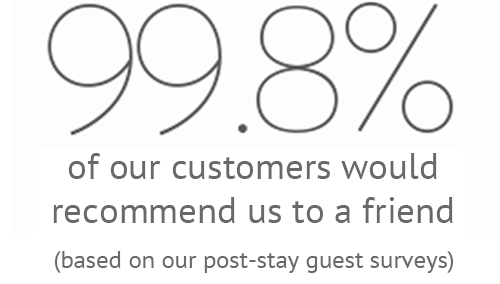 We have even had feedback from some of our guests saying that their children have grown in confidence and learnt to swim whilst staying here, probably as no pressure is put on them and they are on holiday it seems to help them relax. The 34 acres of grounds and woodlands are great to explore so don't forget to pack your wellies! Sleeps 2 + infants in 1 x double bedroom and 1 x family bathroom. Duck Pool beach is a 2 mile walk away via a pretty hamlet. It is a very natural and wild cove, swimming is not recommended, but the surf is good for experienced surfers. Summerleaze beach in Bude is well loved by parents as it has a family friendly bistro, tide paddling pool and is very picturesque beach. Duck Pool beach is a 2 mile walk away via a picturesque hamlet. 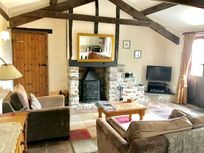 The cottages are just 2 miles away from shops and a local pub. 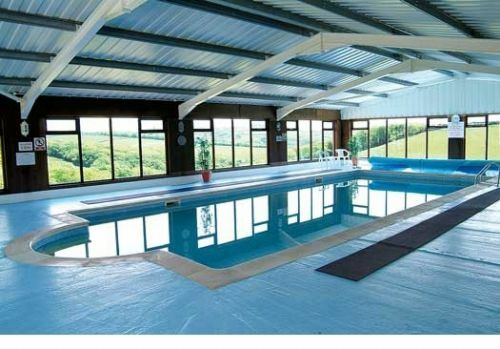 There's a lovely heated indoor pool in the communal area. It is open 8am til 8pm daily and heated to a balmy 30 degrees. The estate has the following baby gear on request: 1 wooden and 5 travel cots, 6 highchairs, 4 baby baths, 2 sterilisers, toddler toilet seats, stairgates, bed guards, socket covers, plastic crockery, plastic cutlery and sippy cups. 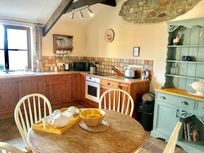 A small basket of toys and books is provided and some DVDs are placed in each cottage. Owner, Adele, offers a small but tasty selection of home-cooked meals for guests to pre-order for arrival dinner or to have during their stay. She cooks them to order so they are freshly made. Plus Tesco, Asda and Waitrose deliver and Adele is happy to take delivery and unpack prior to arrival if pre-arranged. A visiting spa therapist offers pre-bookable massage and beauty therapy treatments on request. The cottage has its own large terrace with garden furniture. Mini guests are welcome to help feed the sheep, lambs, pigs and ponies, as well as collect eggs on daily farm rounds. There is space for one cots but additional cots and highchairs may be available on request and fitted into space if beds are unused. A lovely holiday property in a fantastic location. The property has been ideal for a young family and the facilities are great, especially the heated indoor pool. Our 11 month daughter also loved being able to meet the farm animals at their feeding time. There is loads to see and do in the local area, including some nice places to eat. Overall we have had a great holiday and definitely recommend woodlands manor. An outstanding holiday experience. We enjoyed everything about our stay. This place is amazing! Such a beautiful setting and has everything we need to cater for us and our 8 month old! We have made a lot of magical memories here and intend on returning every year! 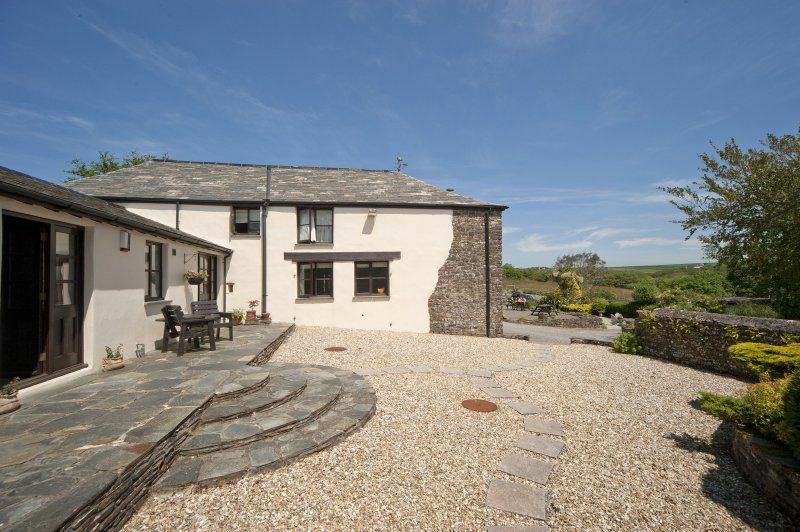 Really comfortable, spacious cottage perfect Cornish escape with a really homely feel. The warm pool was also a really treat! A really lovely place, we had a fantastic weekend. Adele and Nigel went out of their way to be helpful. We hope we can visit again soon! Lovely place, amazing swimming pool with fantastic views. Accommodation was superb and Adele and Nigel made us feel very welcome. We took our 4 month old son for his first holiday and stayed in Honeysuckle cottage. The cottage is lovely, the owners have a great eye for detail. 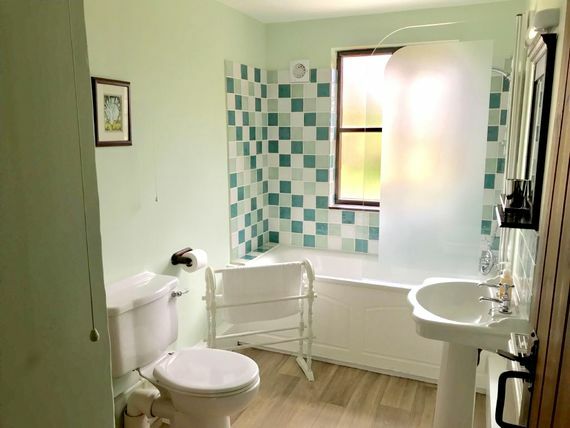 A really comfortable, stylish place to stay. We were looking for a place that was baby-friendly, not baby centric. We wanted it to feel like a grown up place to stay but somewhere that would welcome Huxley too and that's exactly what we got. A lovely cottage, in a lovely setting.